A ladies night in to celebrate the queen of Girl Wash Your Face! The fabulous and ever so inspiring Ms. Rachel Hollis! ROAR...and the crowds go wild...and everyone starts dancing to "This is Me" from the Greatest Showman! 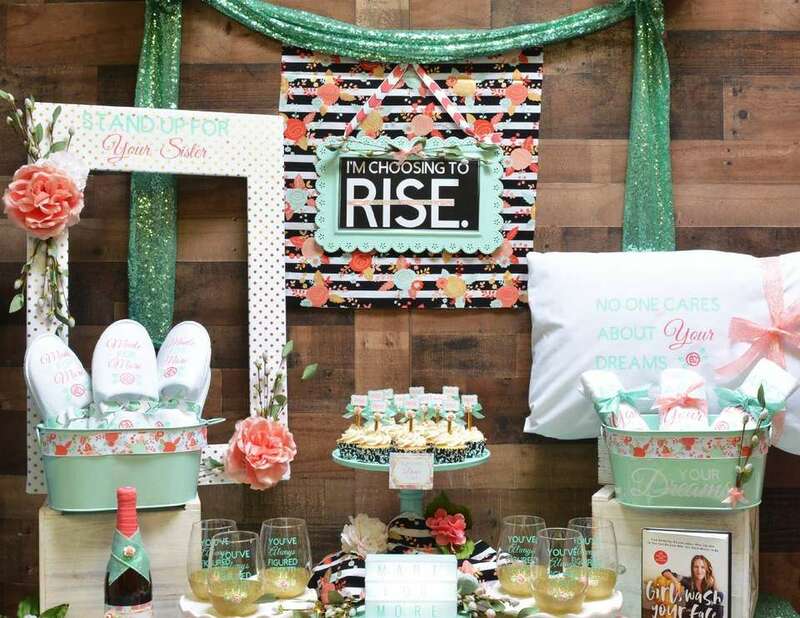 The inspiration for the Made For More Movie Night decor was the garden party at her 2018 RISE Los Angeles Women's Conference. The combination of floral accents with mint and coral tones provided the perfect softness to this fabulous evening. Favors included slippers, pillow cases, and wine glasses. This amazing night would not have been complete without the partnership of beautiful Jen (owner of Enjoy the Party). She was a dream tag teaming this set up! 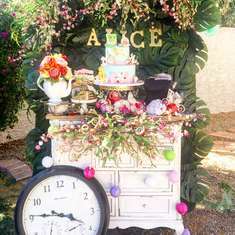 Her cupcakes, wood backdrop, tablecloths, and stands served as the ideal canvas for me to decorate to my hearts content! And can I get a woot woot for her GORGEOUS home? Every inch of her place is so Pinterest worthy! 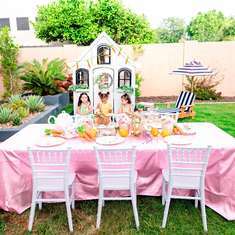 This party was created and designed by A Dash of Adorable. Every detail from the color scheme, favors, photo frame, food labels, pajama shirts, and vinyl designs were hand crafted from the brilliant mastermind of the Chief Glitter Officer, Linda Larsen. If you can dream it, she can make it! Jen is incredible and curates the most amazing party supplies, including, but not limited to: props, tables, linens, tableware, and trays! 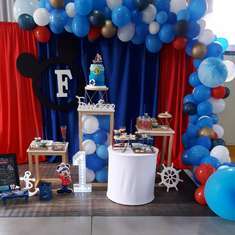 Her goal is create themed birthday parties or baby showers ready to go! She uses minimal plastic to cut down on waste. She can also custom make any party you would like!